MULTIPLE Voice / Vision is a research project by Rudi Knoops (Lecturer / Researcher MDA-Genk), into the interaction between polyphony in music and audiovisual design. For the first phase of this practical PhD in the arts, "Dioramatized" Rudi Knoops makes use of the workshop FLACC. "Dioramatized" is a series of experimental studies on the use of optical equipment to musical polyphony to visualize in a miniature setup and refers both to the 19 ° century phenomenon of dioramas and otherwise converting the diorama concept into a contemporary interactive media formula. The result of the project will be a deconstruction of classical contrapuntal music converted to an interactive media setting. The project is funded by the IvOK (Institute for Research in the Arts / KU Leuven). The working period at FLACC started after the test recordings of the Allegretto from Boccherini’s Quintet op.41 no. 2 in F major, february 2010. These testrecordings supplied the multiple auditory and visual materials for the installation DIORAMATIZED #01, which has as central concept to ‘render’ each individual layer with a limited­­­­ perspective, both aurally and visually. This exhibition will focus on both the manuscripts and the music they contain. Using the 'Dioramatized #2' sound installation, visitors can actually listen to what they are looking at and hear the differences in style, form and method of performance. Four antiphonals dating from the 11th, 13th, 15th and 18th centuries respectively, will be displayed at the exhibition and performed by top international ensembles. This exhibition is being organised in co-operation with Alamire Foundation and Illuminare. Saturday 9th October Rudi Knoops (Lecturer / Researcher MAD-Faculty) shows the current state of his project MULTIPLE voice / vision. MULTIPLE voice / vision is a researchproject of Rudi Knoops, in collaboration with Roel Dieltiens, Mathy Vanbuel, Bart Demuyt & Joachim Brackx, on the interaction between musical polyphony and audiovisual form. 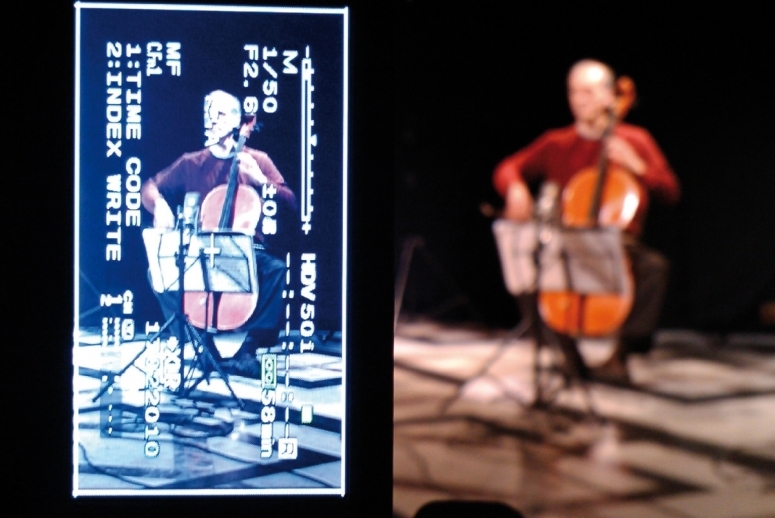 The first phase of the project, DIORAMATIZED #01 has been completed: an experimental study in the use of optical equipment for visualizing musical polyphony in a miniaturized set-up. The project is funded by the OPAK (Research Platform for Architecture and the Arts / The Faculty of Architecture and the Arts / K.U.Leuven Association).